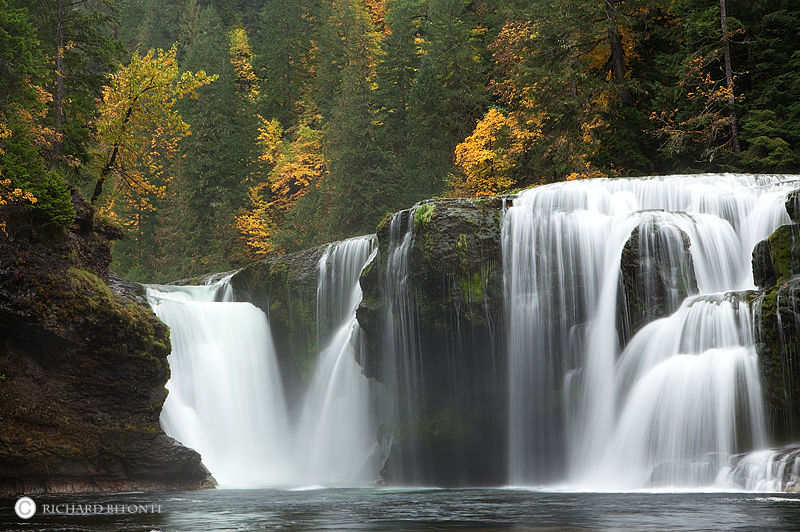 Fall color begins to intensify on the lower fork of the Lewis River. This spectacular waterfall, surrounded by dense old-growth forests, is the crown jewel of warerfalls in the state of Washington. Photo © copyright by Richard Bitonti.